The final vote tally that will determine whether Harvard’s graduate and undergraduate teaching and research assistants unionize may be delayed further if the number of challenge ballots requiring review remains larger than the margin necessary to decide the vote’s outcome. 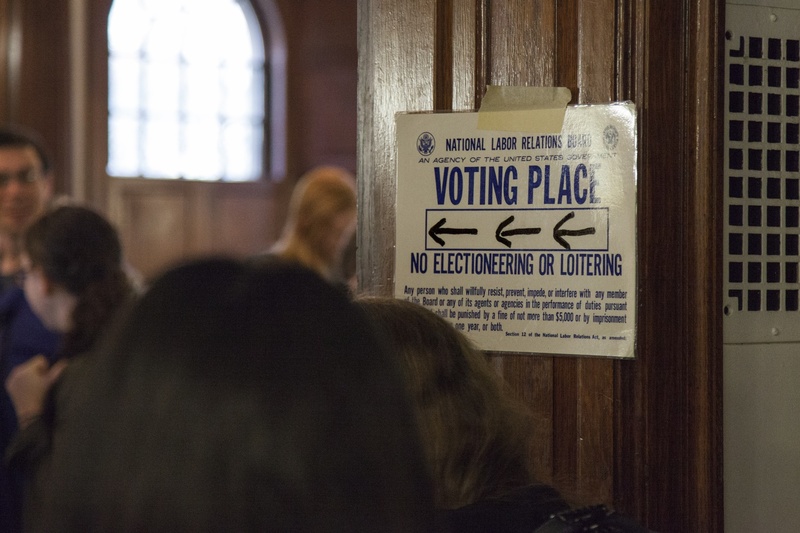 Harvard officials and graduate student organizers will meet again on Dec. 19 at the National Labor Relations Board’s Boston office to continue sifting through challenge ballots from November’s vote. According to a Dec. 8 email signed by Harvard's Director of the Office of Labor and Employee Relations Paul R. Curran and sent to eligible student voters, the parties will finish working through challenge ballots that day. The final vote count itself could also begin Dec. 19 if there is enough time following the completion of the challenge ballots’ review. NLRB deputy regional attorney Robert P. Redbord said officials prefer to begin and end a count on the same day for logistical reasons. Therefore, ballot boxes have remained sealed. If there is not enough time to go through all the challenge ballots on Dec. 19, the final count will begin Dec. 22, according to Curran’s email. However, the upcoming vote count might not decide whether the Harvard Graduate Students Union-United Auto Workers becomes a union representing approximately 3,500 eligible graduate and undergraduate teaching staff, because some ballots might remain under challenge after the vote count, according to Curran’s email. “If the election is decided by a margin smaller than the number of ballots still under challenge, the NLRB will set a date for a hearing to determine whether these remaining ballots should be counted,” Curran wrote. The sheer number of challenges—an estimated 1,000—has delayed the vote count thus far. 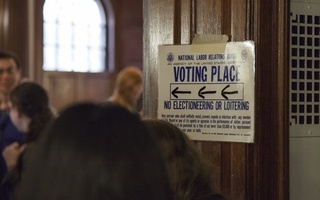 Some ballots were challenged merely due to a student voting at an unassigned location, while others were set aside for more complex reasons, such as Ph.D. students who voted while not being currently on the payroll but who have been employed by the University for at least one semester in the past year. Harvard and union organizers stipulated in the election agreement that these students could vote under challenge because the language of the August NLRB decision did not specify their eligibility. The parties have been working through challenge ballots one-by-one to determine which ones should be counted. Eligible graduate and undergraduate students cast votes on whether or not to form a union on Nov. 16 and 17. Curran also made clear that the University does not want to delay the count process. “While we know that many students will be away for winter break at this time, the University agrees with the NLRB that the vote count should proceed without delay once the challenges have been addressed,” Curran wrote. 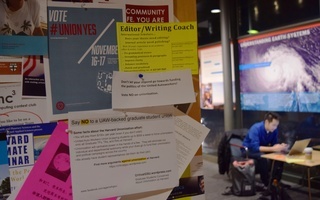 The University is gearing up for a union election on Nov. 16 and 17, in which eligible graduate and undergraduate students will decide if they want a union to represent them for the purposes of collective bargaining. As the historic vote on unionization nears and with other universities watching, both Harvard graduate and undergraduate organizers campaign ever more aggressively. A loosely organized effort opposed to student unionization has escalated its activities in the leadup to this week’s vote on whether students from across Harvard’s graduate schools and the College will form a collective bargaining unit. Officials at the National Labor Relations Board have not yet begun counting the ballots from last week's union election due to the time-consuming process of sifting through challenges.